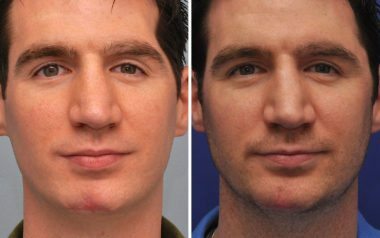 Dr. Bryan Ambro, a facial plastic surgeon in Annapolis, Maryland, offers a number of scar revision treatments, which can be tailored to your specific needs. Facial scars can be caused by any number of reasons, including trauma, surgical incisions, acne and burns. 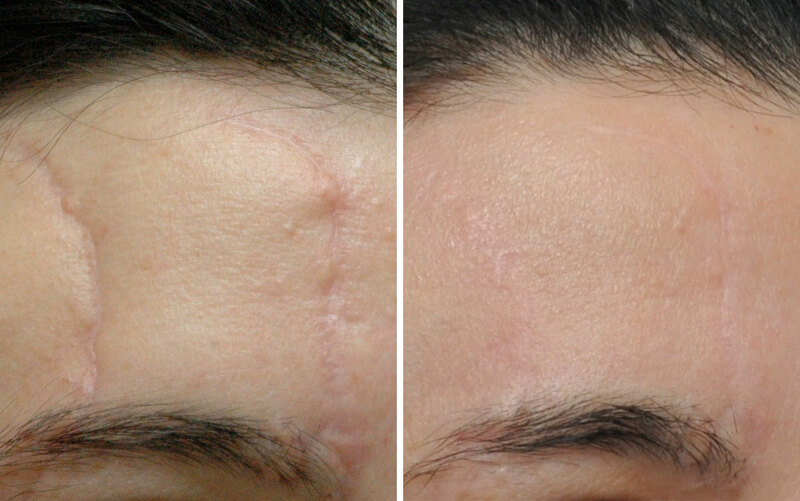 As each type of scar in unique, Dr. Ambro will recommend an individualized treatment strategy to the optimize the appearance of your scar(s). Below, you see before and after photos of patients who had scar revision surgery with Annapolis facial plastic surgeon, Dr. Ambro. The female patient with the forehead scar was treated using geometric broken line closure, followed by dermabrasion. 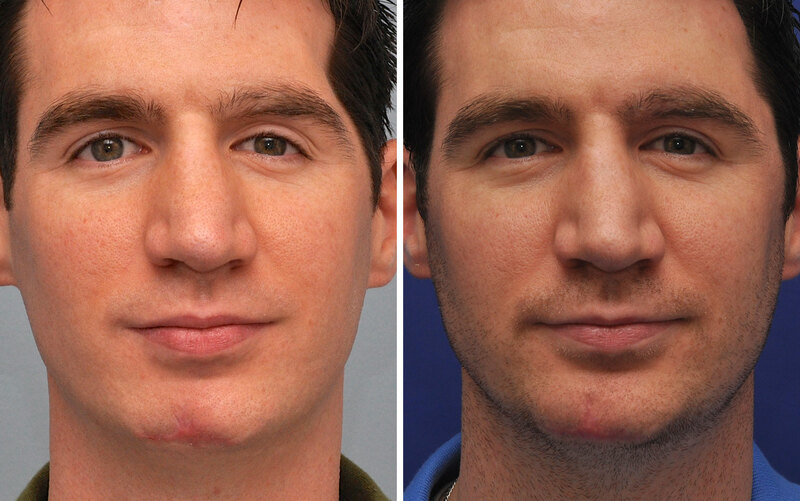 A male patient who had a fat transfer procedure to improve asymmetry in the forehead and scar on the chin. Another male patient with the scar on neck was treated using the running zplasty technique. 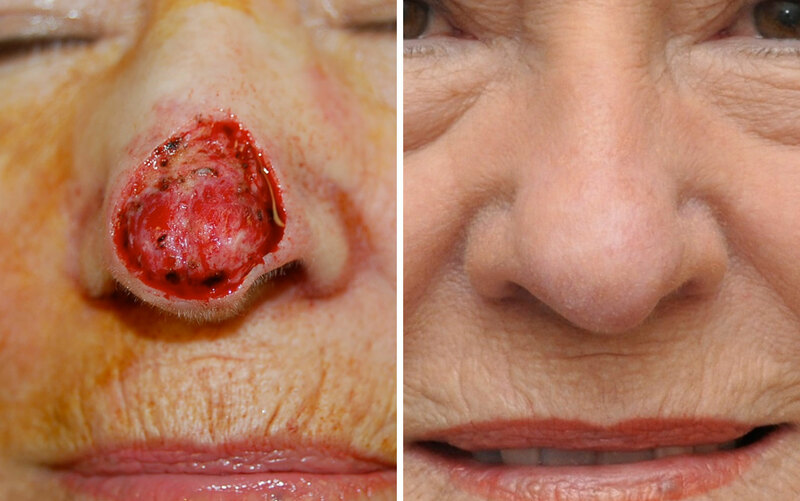 And lastly, a female patient who had skin cancer reconstruction on the nose. Which are very common and can often be treated with very minimally invasive procedures such as the fractional laser resurfacing. Dermal fillers can also be highly effective in reducing the appearance of acne scars. Burn scars are among the most difficult to treat. Severe burns can damage deep layers of skin and even affect sections of muscle and tendons. Dr. Ambro uses some of the most advanced fractional laser technology which has proven to be highly effective in the treatment of burn scars. 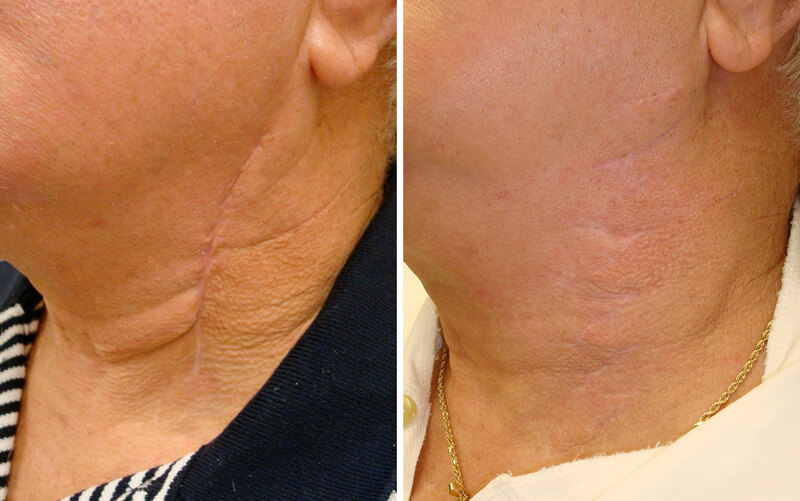 In some cases, scar release and surgical revision is required. These raised, red scars often occur as a result of excessive wound healing in prior surgical or traumatic scars and can be terribly disfiguring. Treatment for keloid and hypertrohpic scars varies based on the severity of the scar. Scar revision can be combined with fractional laser to remove damaged layers of skin and allow for new, healthy skin to regenerate. When you have skin cancer removed from your face, you will typically consult with two surgeons: one who specializes in the removal of skin cancer and another who specializes in the reconstructive plastic surgery. Dr. Ambro is highly skilled in skin cancer restoration on all parts of the face including the nose, ears, eyelids and lips.